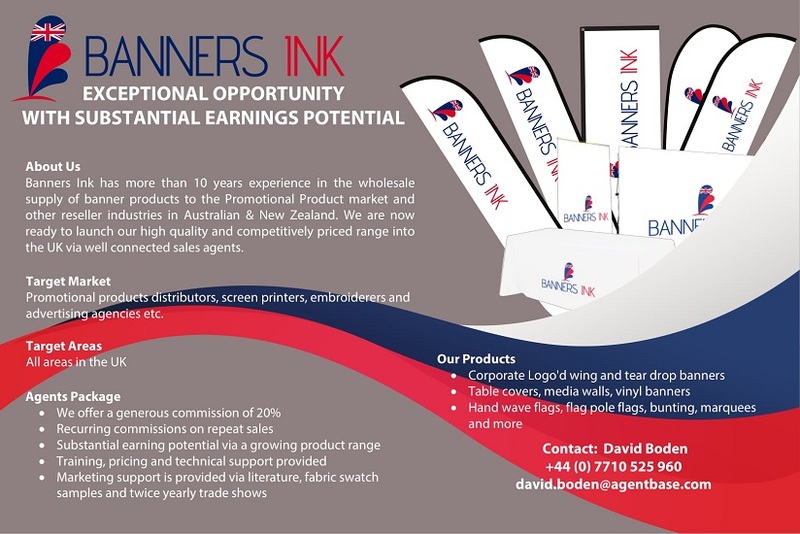 Banners Ink has more than 10 years experience in the wholesale supply of banner products to the Promotional Product market and other reseller industries in Australian & New Zealand. We are now ready to launch our high quality and competitively priced range into the UK via well connected sales agents. Promotional products distributors, screen printers, embroiderers and advertising agencies etc.